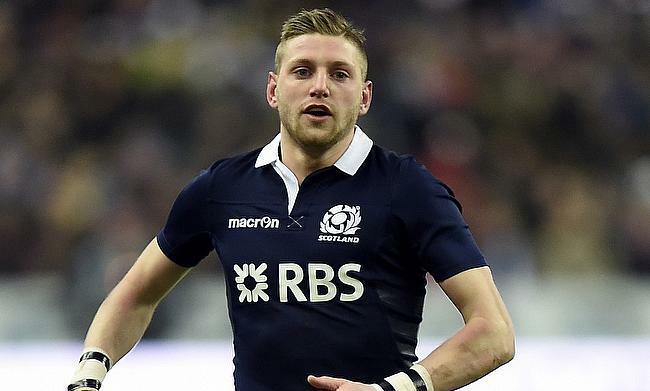 Last year, Finn Russell threw the pass of the Six Nations when his pinpoint effort set Scotland up for a try against England and with two days to go until the 2019 tournament begins, the stand-off is feeling confident that he can help unlock stiffening defences with such tricks again. It was Maitland’s try, but it was made by Russell and it helped Scotland to a famous 25-13 triumph. The 26-year-old former Glasgow Warriors man has never lacked self-confidence, but he believes the move to France with Racing 92, that he made last summer, has left him feeling “freshened up” ahead of a 2019 competition that just looks too tight to call.
? ?Best moments from the 2018 Six Nations ?? On Saturday afternoon, Scotland host Italy in their opener at BT Murrayfield - and although the stand-off knows the visitors will be a tough nut to crack - he wants his side to play with tempo and get their campaign off to a solid start. “There are definitely things I can bring across from France [that can help the Scotland team],” Russell told TRU at Scotland’s training base on the outskirts of Edinburgh. “I’m trying get the boys to do that, to back themselves to get on the outside instead of playing a one out direct style. There are boys in every [club] team who can bring something into the Scotland side. “I guess, when I first came into Glasgow, it was all fresh, all new. So, it’s not so much learning anything new [in France], just going back to where I was a few years ago when I was coming into the team at Glasgow and Scotland. With Russell now playing outside the two Scottish Rugby-run pro sides, his game time at club level cannot be managed and monitored by national team head coach Gregor Townsend as much as he used to. That means that, in a busy Six Nations and World Cup year, Russell could be asked to play by Racing in the fallow weeks during February and March, especially after fellow number 10 Pat Lambie’s recent retiral. However, Russell does not see any problems in playing regular matches for both club and country. “My sole focus has been on playing for Racing week in, week out - then I come back to Scotland and it changes. It’s been good for me,” the man with 40 caps under his belt said. “I’ll go back between the Six Nations matches to play for Racing, so I will be in and out of the [Scotland] squad during the weeks off. “Obviously with Pat Lambie having to retire, for me, it just is how it is. I have to go back and play. “I’m in a different mindset from when I was at Glasgow, when you would know that playing the first two games [in the Six Nations] meant getting the next week off. “I know I could now go seven, eight… however many games on the bounce. I’ve just played seven in a row there and it could be the same again, if not more. Russell missed the shock home 22-19 defeat to Italy in the tournament four years ago, but he did play as the Scots lost last year’s opener 34-7 in Wales. As a result, he is only focused on Saturday’s game and knows the Italians are certainly not just travelling to make up the numbers in the round one fixture. He stated: “Everyone assumes that Italy at home is the easy game. The way Benetton and Zebre are going and the way Italy played last year means that it certainly is not. “It was only in the last few minutes that we beat them last year [29-27 in Rome] and I think every team is getting better especially Italy, they’ve improved so much in the last few years and I think Conor O’Shea’s done a really good job with them. “For us it’s going to be a tough game, it is the start of the tournament and you’re still feeling your way around. “It’s a game we can win so long as we do things right and play at our best. At the same time, Italy are very dangerous and could be one of these underdog teams - they’ll be a lot harder and tougher than they’ve been in recent years. “Last year going down to Wales to open up, we were almost favourites for that game - and it didn’t turn out that well. After last year [and the poor start] we need to focus on ourselves and not look at what everyone is saying and the expectations. The Scotland and Italy squads are both set to be named on Wednesday afternoon for the Six Nations opener.